Beneteau First Series of yachts are the industry standard for racer-cruiser performance sailboats. 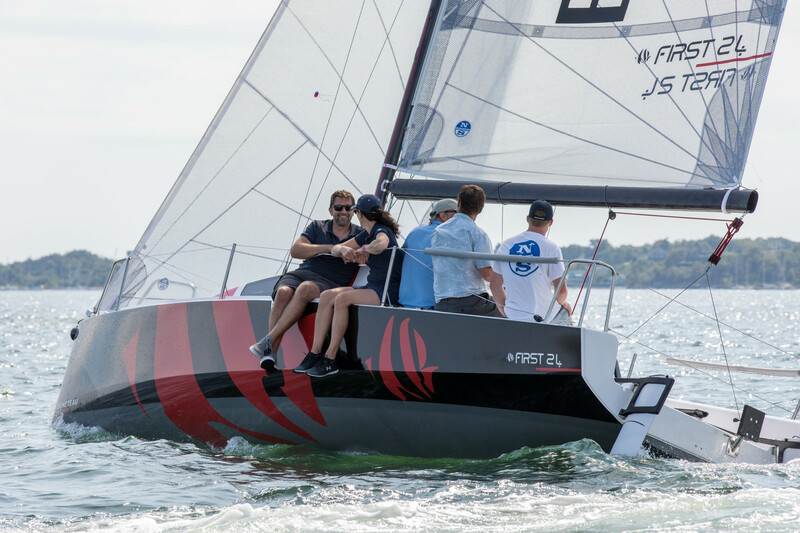 They are designed to meet the performance needs of demanding racing sailors yet are completely equipped for comfortable cruising. There is no other boat on the market that offers this perfect combination of speed and comfort. For more than thirty years, the First range has built a reputation of solid performer, collecting accolades and awards in its wake. Sure, the trophies are nice, but every victory and every podium finish helps Beneteau make a quicker, easier handling yacht for you. Whether you live for that sensation of sail powered speed or just love a good leisurely cruise, the First series is the perfect example of this philosophy in practice. Our pioneering use of strong, lightweight, high-tech materials, no-compromise build quality, comfort and ease of handling – along with that Beneteau sense of style have long set the standard for others to follow. That’s the difference between finishing first and just finishing.